The Chienti valley has been since ancient times an important crossroads for all those pilgrimages that led from Assisi to Loreto. The numerous abbeys and sanctuaries are still today important evidence of a rich past along this path Lauretano. The first half of the itinerary is characterized by an almost flat development. It is along this part of the itinerary that it is possible to admire the beautiful Abbeys of S. Maria a piè di Chienti (Montecosaro), the Abbey of San Claudio (Corridonia) and the Abbey of Fiastra (Tolentino). Very interesting is the visit of the Basilica of San Nicola in the historical centre of Tolentino. 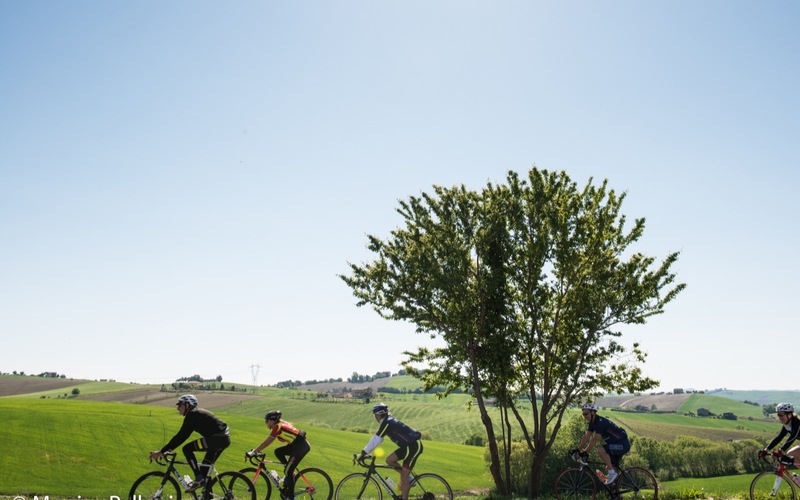 The second part of the itinerary is characterized by a panoramic ups and downs that crosses the characteristic medieval villages of Pollenza, Macerata, Morrovalle, Montecosaro and Civitanova Alta. The view from the top of the ridge is very beautiful with beautiful views over the valley and the hills of Macerata.